Published by : SAGE, (London ; | Thousand Oaks, Calif. :) Physical details: xxiii, 304 p. : ill. ; 24 cm ISBN:1412922267 (pbk. ); 9781412922265 (pbk.). Subject(s): Social sciences -- Research. | Qualitative research. | Qualitative Daten. | Qualitative Methode. | Qualitative Sozialforschung. "The book is based on the authors' highly successful multidisciplinary qualitative methods workshops, which have been conducted for over a decade. 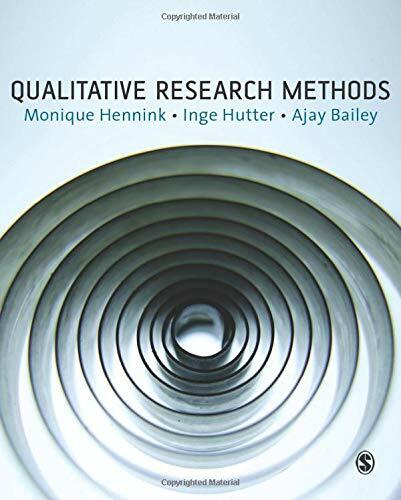 They introduce a 'qualitative research cycle' that leads students through the selection of appropriate methods, the collection of data, and the transformation of findings into a finished project. The book provides a clear explanation of the nature of qualitative research and its key concepts"--P.  of cover.